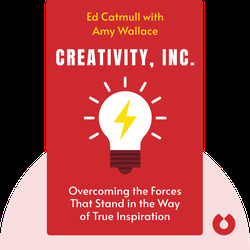 Creativity, Inc. explores the peaks and troughs in the history of Pixar and Disney Animation Studios along with Ed Catmull’s personal journey towards becoming the successful manager he is today. 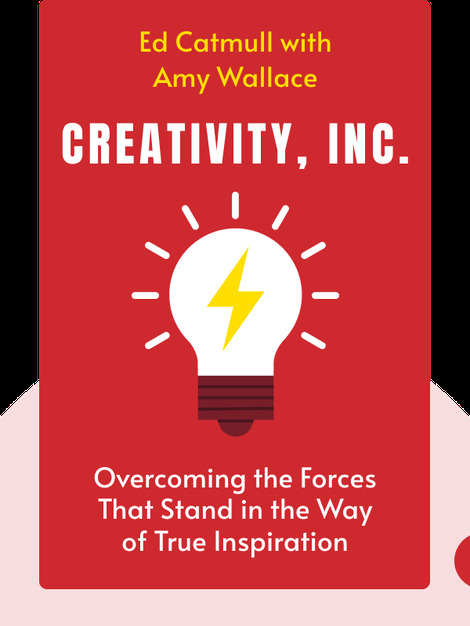 In doing so, he explains the management beliefs he has acquired along the way, and offers actionable advice on how to turn your team members into creative superstars. Ed Catmull is the current president of both Pixar and Disney Animation Studios, and was co-founder of Pixar in 1986. In addition to being a successful manager, he has also contributed many important tools in computer graphics and animation. Amy Wallace is an editor-at-large at Los Angeles magazine as well as a correspondent for GQ.